Introducing Placemaking in East Williamson County! 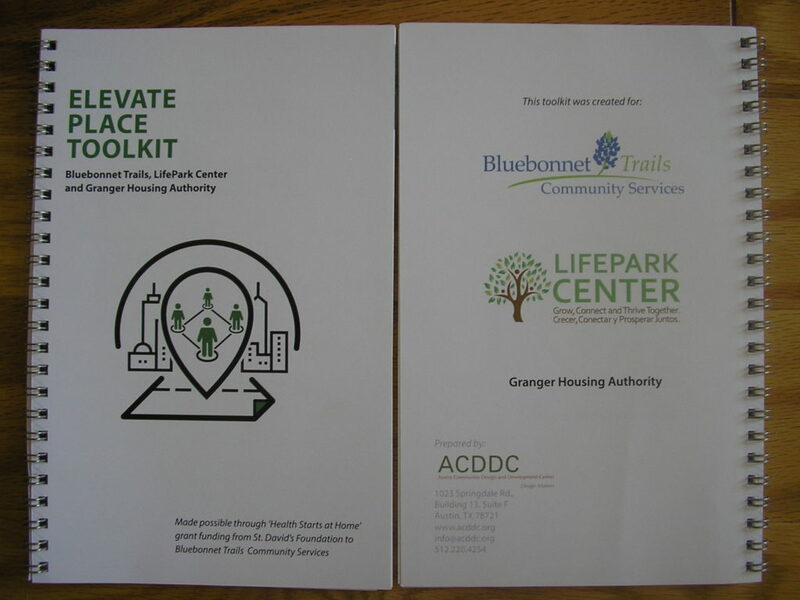 LifePark Center, Granger Housing Authority, and Bluebonnet Trails Community Services teamed up with Austin Community Design and Development Center to develop a placemaking training and toolkit, made possible through grant funding from St. David’s Foundation. Placemaking is a collaborative process used to collectively rethink and reimagine community spaces. It can be as simple as painting on a sidewalk or as complex as transforming an entire neighborhood! What can result from placemaking? A vibrant community, connected neighbors, creative leadership, and spaces that promote better health. On March 20, LifePark Center and Granger Housing Authority hosted our second placemaking event—an Idea Party. It was fantastic! Staff printed a super-size aerial map, and residents enjoyed using the map to record ideas for neighborhood improvements. Mapping invites people to begin developing a vision for their community. On that beautiful day in Granger, the community’s vision included flowers, picnic tables, lighting, community gatherings, and more. The Idea Party also featured flower and vegetable plants for people to take home for patio gardening. This activity sparked a fountain of conversation among neighbors about the “old days” when everyone grew their own food and lived healthier without convenience stores. People shared tips about finding the best soil, planting tomato plants, and cooking fresh foods on a budget. Long after the event, two neighbors sat side-by-side, admiring the plants they had transplanted on their shared patio–their smiles and laughter told the story of this important day in the neighborhood.